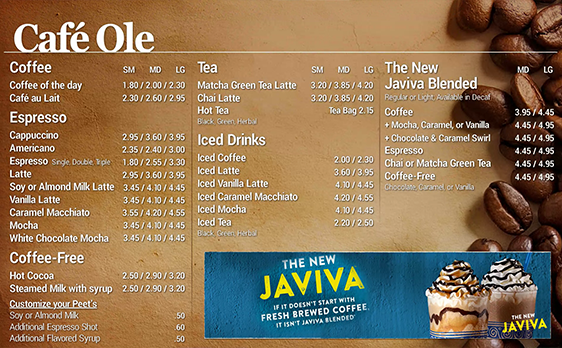 Whether it’s a new item, a daily special, or price adjustment, with our digital solution you can quick and easily make changes across multiple platforms. With vibrant graphics, detailed images, periodic changes, and seasonal specialties you can drive your customers to key items, better meet their needs, and operate more efficiently. Capture audience data in real-time as consumer look at your message to track and analyze both the tangible and intangible returns on your investment. Optimize menu choices, offer seasonal or local selections, or provide short-time dining options based on your location needs. 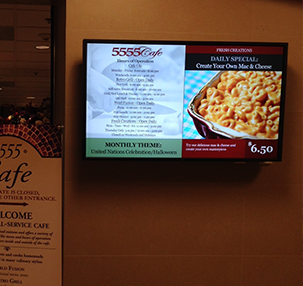 Digital signage has been proven to increase sales by +30%. 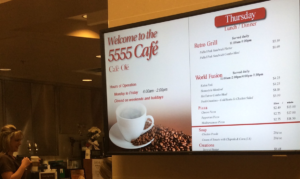 Highlight key menu items to maximize profits. Manage multiple displays and locations easily. Easily update with flexible web-based software. 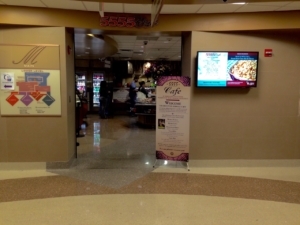 Enhance the customer experience through engaging content and vibrant images while efficiently managing your dining operation.